One week after the Metal Over Malta Festival I was once again on my way in terms of hard rock / heavy metal. 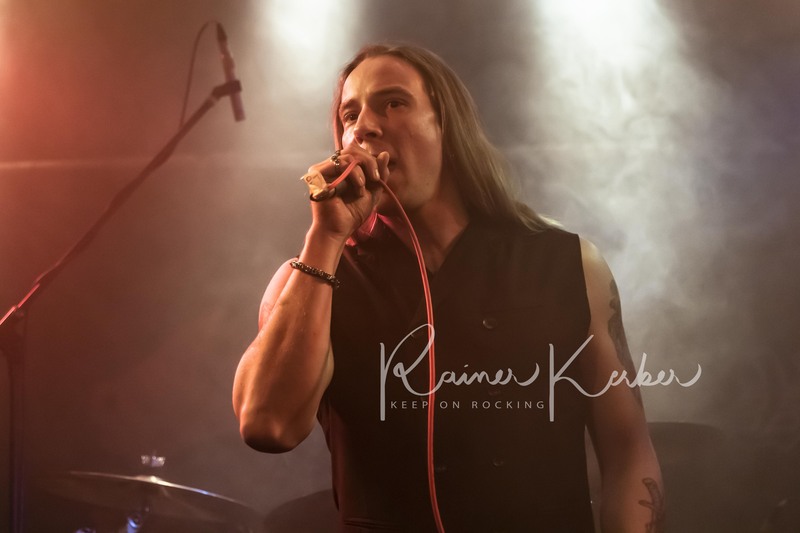 The R-Evolution Of Steel Tour, organized by Poser667 Productions, stopped at Hamburg’s Bambi galore, a small club in the basement of the Kulturpalast in Billstedt. The pictures of the evening can be seen on Flickr. Four hot underground bands celebrated a heavy metal night with their fans. Since some bands were stuck in traffic on their arrival, the beginning was postponed by half an hour. And the running order has changed a bit. Thus, Ivory Tower entered the stage at around half past eight PM. And the band, which was founded in Kiel in 1996, really heat on the fans. Clear powerful vocals with frequent high screams and the interplay between keyboard and guitar set the tone. I especially liked the twelve-minute “Foreboding”. Iron horses from Kröpelin (near Rostock) sounded a bit harsher and harder, especially thanks to the almost scratchy vocals. 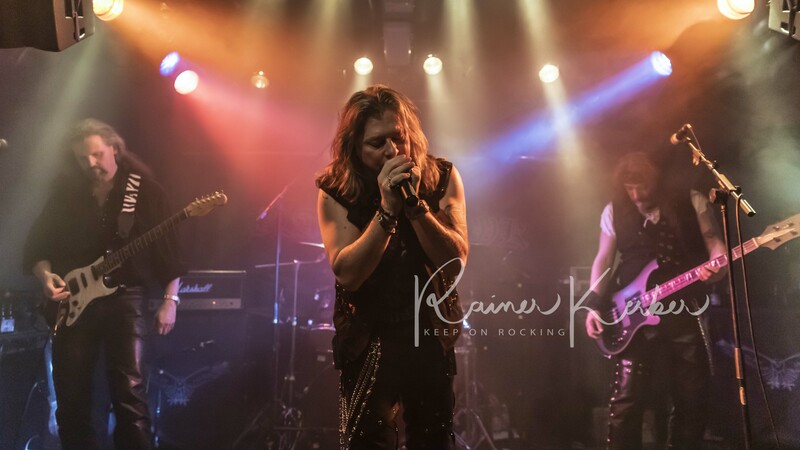 A razor blade could be seen on the Sidedrops of the Berlin band Metall. Obviously there were immediately associations to the Judas Priest album “British Steel”. So Metall were also the only band of the evening with two guitarists on stage. And yes, citations of the British could be heard again and again. 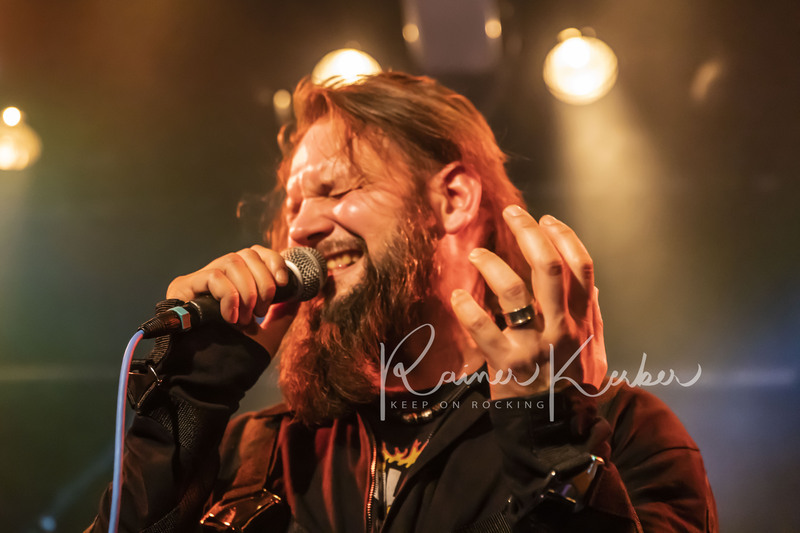 After three bands, unknown to me, were able to convince me with their performances, “old friends” entered to the stage, Black Hawk from Hamburg. It was only a few months ago when I last saw them live, on the stage of Maria’s Ballroom in Harburg. Also, on this evening the focus was on the current, but not quite dew-fresh album “The End Of The Wolrd”. But the Hamburger are already working on new stuff. So, you could hear with “Smoking Guns” and “Destination Hell” two new songs from their forthcoming single. This could be purchased exclusively at the Merch booth. Shortly before one o’clock on Saturday morning, the last note died away. After more than four hours of classical heavy metal, the fans made their way home satisfied. In addition to music, there was also a raffle. For just one euro could buy a fortune and get gains that had been donated by the bands and the organizer: T-shirts, CDs, tickets. My thanks go to all involved, the bands, the organizer and the staff of Bambi galore.